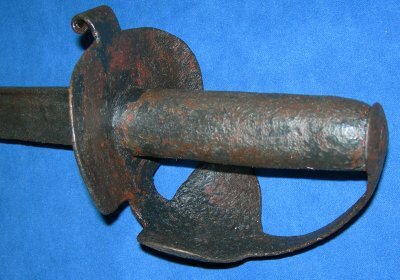 In aged but sound condition, a rare Battle of Trafalgar era 1800's (Napoleonic) British navy seaman's cutlass. 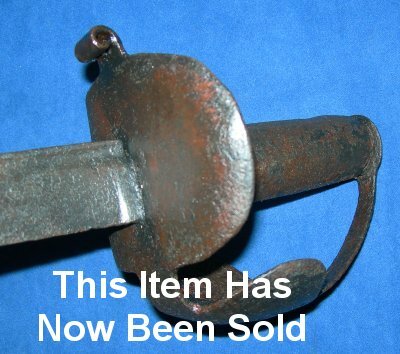 A very rare item indeed, and in very sound condition, a sol called "1800's" British naval cutlass which actually was in use from around 1790 and was only started to be replaced in 1805. This cutlass was 100% in service during the Battle of Trafalgar. 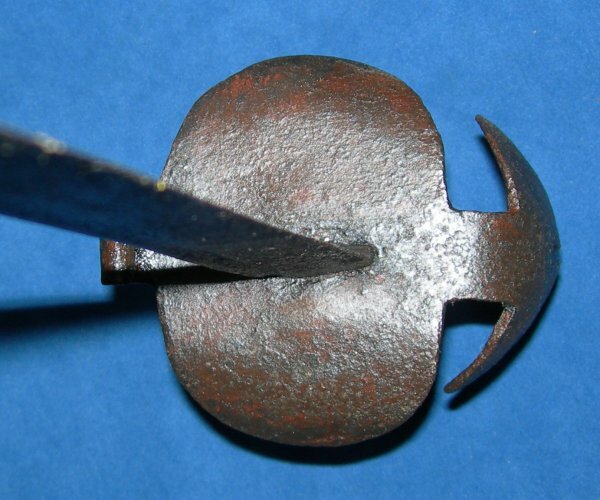 Most of these cutlasses did not survive the harsh conditions (salt and arduous service life); they were in use well after the Battle of Trafalgar, gradually replaced by the 1805 pattern with the ribbed grip. This one appears to have lasted courtesy of black paint, quite likely applied during the Georgian era / its service life; some of that paint can still be seen. The 28 1/4 inch blade with a single narrow back fuller is sound, though black with patina, and yet still firm in the hilt / grip. 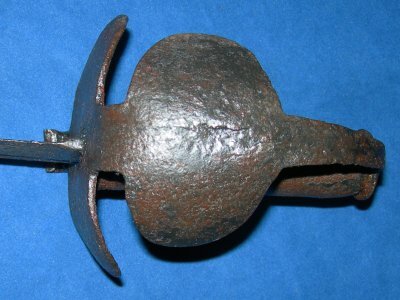 The hilt and grip are aged; the front of the figure of eight guard has a crack in it, who knows from how. But all is sound and this cutlass can be preserved for many years, even more than the 200+ years it has already survived. This is a rare item that will only increase in value. Please quote item reference H23. Further / full sized images available upon request.